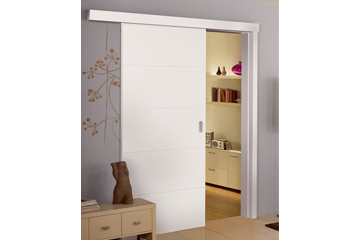 Sliding doors are very useful as they do indeed prove to save a lot of space, since they are able to operate without opening and closing on a hinge. They simply are able to slide along instead on an installed sliding track. The door slides and therefore will not be swinging in and out as a door on a hinge does that takes up space. Yes, the sliding doors are efficient in saving space. They are easy to access as well. They just slide open or closed. Thus it is easy even for a child to open and close these doors. Another nice benefit is that they add a trendy, stylish look to a room as well. 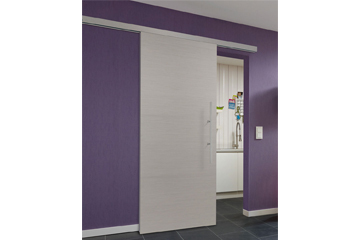 Now we discuss the following doors that are provided by our great company that is very pleased to be able to serve you by providing you with amazing quality sliding doors. 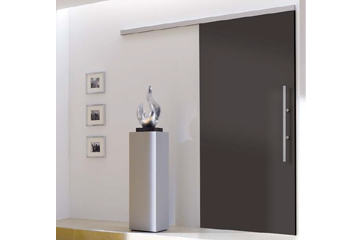 This sliding door in black offers a nice modern look to a space. Its design is very sleek. It is fitted on a silver metal track. The long metal handle is a nice touch and suits the door very well. It adds sleek drama. For pricing click here. This grey door is able to fit nicely into any space. It is great to use as a separator between a kitchen and a living area for those times when you are needing quiet in the kitchen as you cook. The door will block the noise that the kids are making in the living area when you need peace of mind. For pricing click here. This is a fine quality door in the wood design that offers a contemporary and traditional look all at the same time. It really adds a nice warm touch to a space and the color is very nice. The long handle makes the door easy to slide open and shut. This white sliding door has a nice brightness to it and looks amazing with the deep gold yellow walls. This sliding door functions as a good door to a dressing room in a shop. It is easy for customers to slide open and shut. 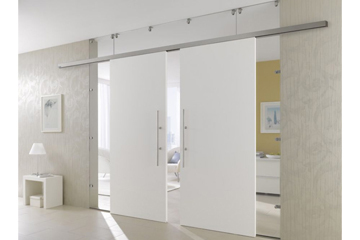 These double sliding doors in the color of white are simple, but elegant. They are set in with some glass panels on the sides of the doors as a nice accent to allow light. They still allow for the unity of the two separate areas to be felt, which is nice. The sliding doors are classy and elegant. They have white panels at the bottom with glass inserts that run about three quarters of the length of the sliding doors. They allow you to see into your closet and dressing room perfectly. Another use for sliding doors includes large bedrooms, where you can surprise the wife with a walk-in closet as well as the en-suite bathroom where is not necessary to use completed frosted glass but ones with some design in it. This sliding door in a nice light wood tone brings warm charm to the space. The wood grain in the door is lovely. This door provides the nice separation to the areas that you desire. These sliding doors have the look of lovely French doors. But instead of being on hinges, they slide. They bring real beauty to your space. This white door is sturdy and highly functional, while also being nice looking. It brings a crisp, clean modern look to the space, while allowing you to close the door for privacy and quietness as needed. This is a nice understated solid door in white that keeps things looking clean and inspiring because of the pleasantness of the white color that is always able to match your décor, even when you change the décor. The door is a nice way to divide your main entrance from your living area to block out the sight of shoes and coats. Would you build a new house or renovate a existing building? Sooner or later they will deal with the question of interior doors. How should the transition be made from one room to another? 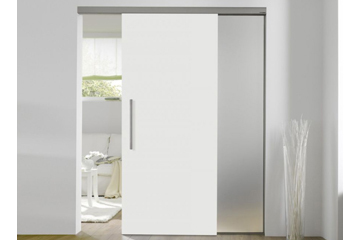 An alternative are made to measure sliding doors available as glass or wood option. They offer the advantage that they need little space, since they are mounted either on the wall or in the wall (pocket doors) so that the door opening in the wall "disappears". Secondly, these doors can be operated almost silently. Sliding doors can provide a completely new living experience. So you can share, for example, dining and living room into two separate areas when you cook. But if there is a celebration planned, the sliding door opens and there is a large open space. Security Soundproof Doors for Flats and Apartments from Doors4UK which can help prevent the possibility of house burglary. In what ways can you make his house best burglar proof? The best way is to have proper security doors which make you feel safe in your own space. They also give you a better and quieter residential environment due to the seal gasket around the stop doors and the drop down threshold. The security doors are the result of numerous test conducted at the laboratories in Germany. Doors4UK provides soundproof and burglar security made to measure doors with different type of finishes from laminate to veneer and painted doors. 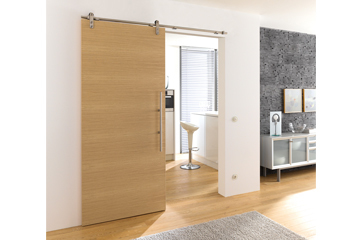 The door can have different surface on each side of the door which will make it much easier to integrate with interior design of the apartment. The option of 3 point lock or 5 point lock will make the doors safer and give more resistance force due to the bolts that go into the frame offering a particularly high standard burglary protection. The model of a continuous metal locking bar that includes 3-point locking with two swivel hooks is an additional which is making more difficult for burglars to open it. The soundproofing of the door is greater than a standard door as it has full massive core which make the noise level immediately noticeable from the first day of installing the new security door. With the addition of the drop down threshold (draft excluder) this will block any air coming in or out from the apartment make it better sound proofing. 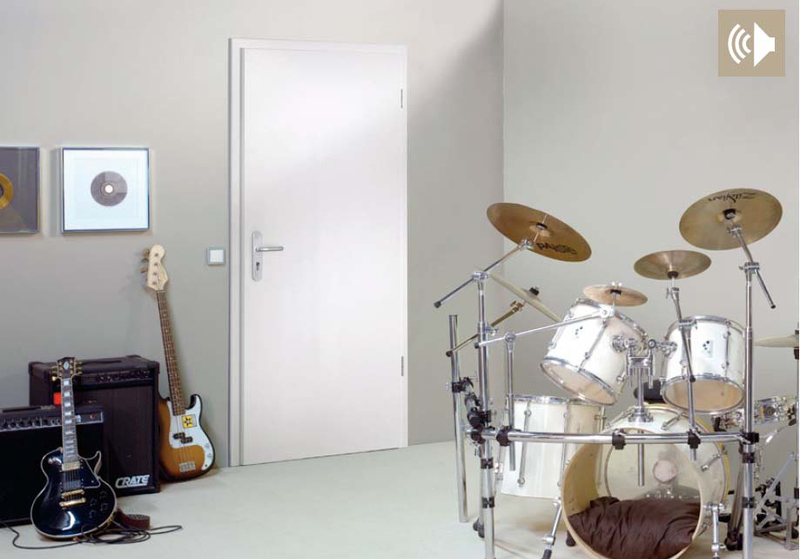 The range of soundproofing start from 28dB to 43db with different thickness of the door which corresponds with the sound levels require from 40mm respectively 45mm. They give the impression of being akin to surface veneer, feel like authentic wood, but happen to be specially well-built, colorfast and simple to wash. Laminated doors with CPL surface types are the genuine substitute for real wood surface veneer doors. CPL symbolize Continuous Pressure Laminate – a instructive idea could be: a laminate from the continuous pressing a number of layers of paper with hardening melamine polyester resin which is formed. The outer lining is covered with a protecting film made available from melamine polyester resin. This makes them very sturdy. CPL surfaces more to abrasion, scratch and shock-resistant than other surfaces. Hold light scrapes in addition to stand crayons. They are solvent-and heat-resistant, smudge-proof and simple to wipe out. 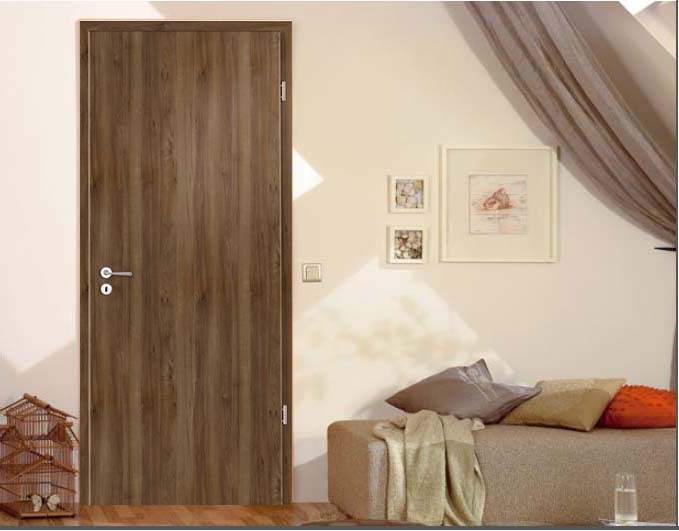 The laminate doors may be obtained as solid made of wood or as fire rated together with the lighter in weight alternative with tube core construction. Regardless of whether within the private property or commercial area – rest assured that that CPL also the heaviest duty hardly leaves an indication. Surface types of made to measure doors are available in CPL are: Beech, oak antique, Wenge, Walnut, White RAL 9010, Oak nature, Maple, Cherry, Dark Grey, Aluminum Grey, Knot Oak along with finishes that you can get here about interior doors. The vast majority of the surface could have the grain in cross wise and more than that all the surfaces can be obtained with glazing. 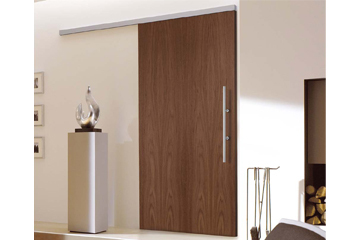 For more information about Laminated wooden doors please click here. These days’ home-owners leave aside the common décor and begin to choose the modern designs when they refurbish their living spaces. These modern approaches bring with them original doors designs that highlight the appearance of their homes. 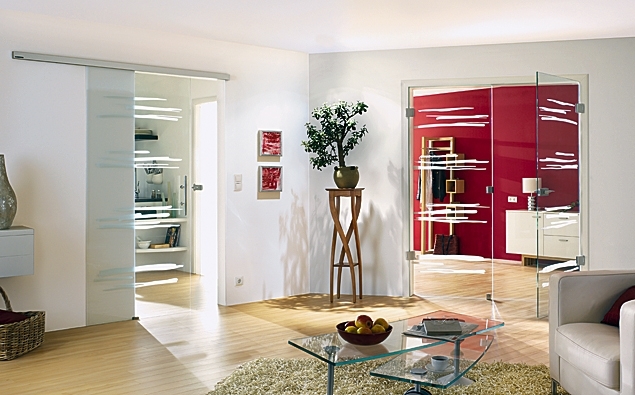 Glass doors are one of these stylish ways to realize the modern look in your own home. Combined with various possibilities as a swing, sliding or hinged door, glass is an ideal and safe material, an innovative interaction, unsurpassed quality and perfect processing of all materials. Property owners who are after a modern style for their houses love to add sliding glass doors to their redecoration plans. Sliding glass doors provide besides the minimalist approach to the room’s design scheme, also using the modern pattern can transform the entire look in the way that conventional doors will never fulfil. One of the differences between a traditional door and a glass door is the glass door allows the rooms to feel more ample and accessible. These doors provide a perfect match for the small houses who needs open spaces. If these kind of doors satisfy your desires you will be thankful to know that you can find in our range multiple finishes like: patterned glass, clear glass, frosted glass and many more. To decide on the finish for the glass doors take into consideration the privacy that you require and the other existing patterns that you have inside your rooms in order to obtain an integrated whole. Beside the fact that glass doors are easy to use, are also safer due to the fact that they are created from a toughened safety glass, tested in Germany to ensure it resistance to heavy impacts and that will not shatter like a traditional glass door. Combine function and design as you wish on the spatial circumstances, experiencing a completely new feeling of amplitude with glass sliding doors. An effective way to redesign your own home without having to spend your entire budget is to renew your interior doors. When you purchase your new doors you need to remember that this is a real investment in your house and you have to consider truly about what you need. The objective of the internal doors is to separate the spaces inside your house. When you choose your doors is better to decide on top quality to produce, beside the elegant aspect also the warm feel of your house. The appearance of the doors brings with it also an expensive price starting with plain doors and achieving higher prices with luxury designs. The internal doors produced from wood are preferred by the most of householders because can provide worm and elegance to their homes. If you are after a particular look you can go for bamboo finish. One of the expensive types of internal doors is the one constructed from solid wood as: oak, mahogany, pine and red hardwood. Internal doors may be fabricated from engineer core with a laminated finish on top however, this design can haven a plastic look. If you are after wood doors and if you want a large range of colours to select from, oak is the most suitable alternative that you might have because oak wood has a light finish easily to stain. Another colourful finish that you can choose is walnut or mahogany that has an amazing red timber. Oak is the most reliable core from the hardwood range and that means that an internal oak door will pass the assessment of time if it is effectively painted. The maintenance for this kind of door is reduced and the finish of the wood will not change in time. Beside this, oak being a hardwood can help with soundproofing your rooms. In the market you can decide upon numerous possibilities of internal doors like glass, solid wood, glazed and panel doors. A range of internal doors that can be cheaper than solid wood is real wood veneer finish constructed with a soundproof core that can help with insulation. 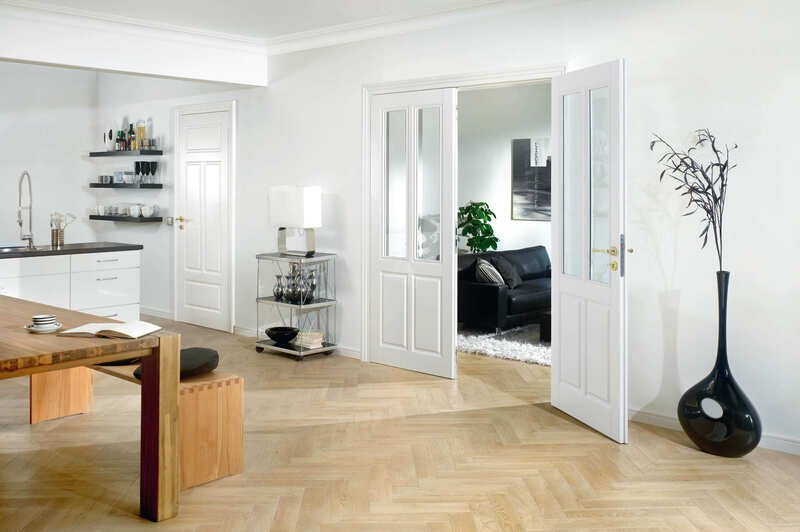 If the light reaches heavily in to your rooms a perfect method to fix that is to decide for glazed doors. 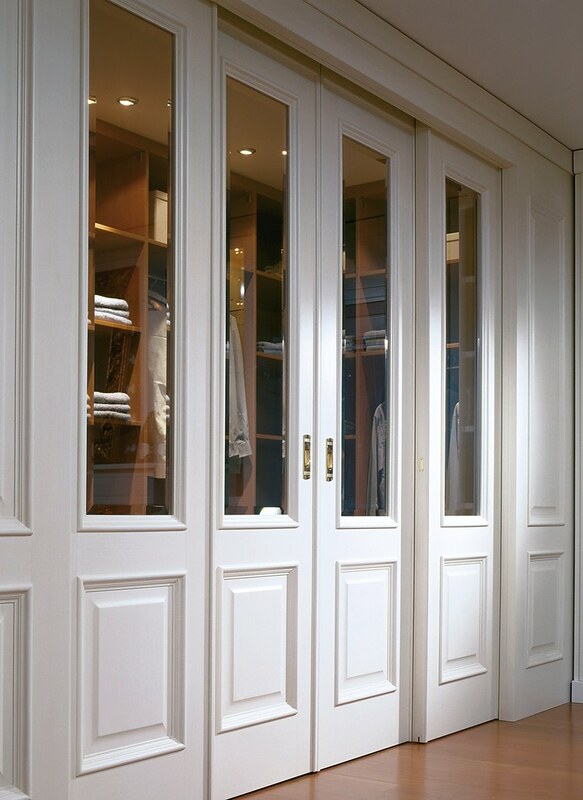 When choosing the internal doors for your home you must take into account the décor and the function of the rooms. For country architecture you can decide to select knotted pine or oak finish and glass will be always suitable for dark and modern rooms. Made to measure fire rated doors up to W1000 x H2200mm. Let us know the dimensions required. The number after the FD indicates for how many minutes the door to prevent the passage of fire; they must be after this time can still open (FD30 = 30 minutes). What fire-resistance rating is required for a door that is based on the use of the building and on the requirements of the wall in which it is incorporated, and must be determined by the architects and designers. Fire frames and doors barriers could be from steel or aluminium, but can also consist of wood materials; if desired, to match other interior doors. Also, glass cut-outs with fire-resistant glazing are possible. You must be self-closing his (door must by itself fall into the castle) and are therefore a door closer or spring- equipped. Their functioning must be reliable over a longer period may be (part of the continuous performance test). The fire protection closure (door leaf, frame, hardware, closing devices ) must be a complete system supplied by a manufacturer. Fire doors should never be prevented from closing. If items such as wedges keep the door open, every fire protection inspector (and insurance) can cause problems. 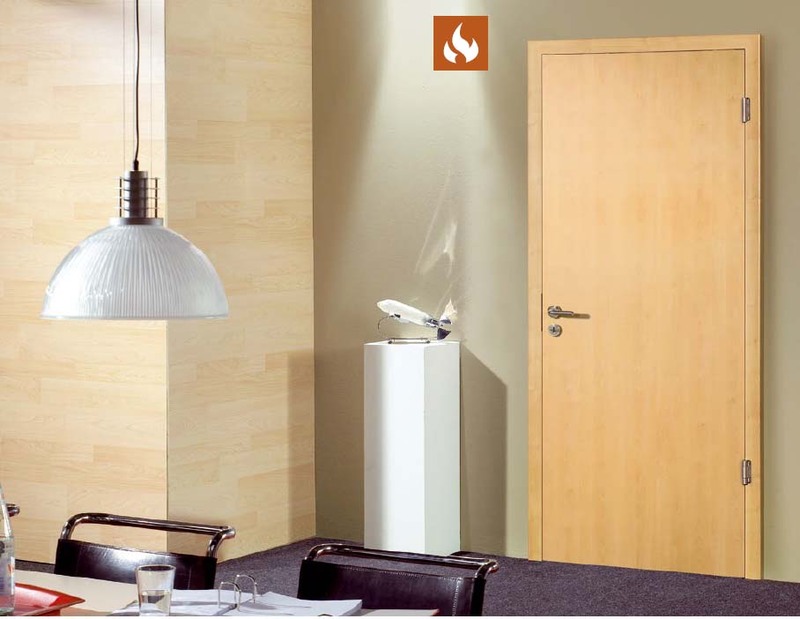 Demarcation of fire barriers smoke protection doors: fire barriers are no smoke doors. They prevent only for a defined period the passage of flame and do not smoke. But fire barriers, in addition to their primary function as smoke doors, are equipped.